IP University will be conducting Common Entrance Test (CET) Law Entrance Test 2019 at various exam centres. Students interested in pursuing law from law colleges affiliated to the Indraprastha University will have to appear in a common entrance test (CET) and should fill IPU CET LLB Application Form before 1st May 2019. The exam will take place on 19th May 2019. IPU will conduct the IPU LLB Entrance Exam in paper pen mode where candidates will have to answer as many as 150 questions carrying four marks each. The total time allotted to finish the Law entrance test will be 150 minutes or 2.5 hours. There will be a negative marking policy under which every wrong answer will lead to deduction of one mark from the total scored marks. Candidates will be required to answer a question with only one option among four available. Questions responded with more than one answer option will be liable for negative marking. Here's a quick look at the IPU LLB CET syllabus. 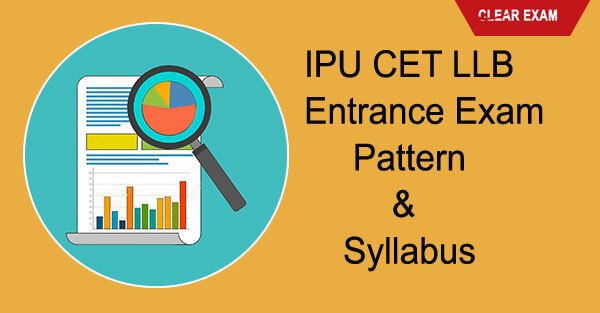 There are four sections on which you would be tested in the IPU CET and the total marks are divided equally between these sections states the IPU CET syllabus 2019. The IPU CET syllabus for English section is meant entirely to check your language skills. There will be an unseen passage which will be 300-350 words long and you have to answer questions linked to the reading of the same. It tests your grasping power and how quick you read and understand information that you are new to. Grammar section will test your knowledge of the use of prepositions, articles, and of sentence construction as a whole. The vocabulary test will include questions on antonyms, and synonyms, and narration. There will also be jumbled sentences which you can sort if your grammar and vocabulary both are sound. The general knowledge section of the law entrance exam is meant to check how aware you are of events taking place at national and international level and also the IPU CET syllabus 2019 states that there will be static GK wherein it will test how well informed you are about current affairs and static GK related to national geography, natural resources, and science and technology. Reasoning section of IPU CET is incorporated to check your command over following concepts. Reasoning section of IPU CET is incorporated to check your command over Mathematical concepts and also how agile your brain is and how quickly you can apply logic and solve logical reasoning questions. A few examples of these questions are coding-decoding where you have to identify the pattern and apply it in the question code and arrive at an answer, verbal logic questions are also part of the syllabi. Logic application and logical reasoning questions. The last section of IPU CET syllabus is legal aptitude in this law entrance exam and this section will check whether you have an aptitude for law. Along with legal principles and their application to facts, you will also be expected to know legal terms commonly used in the legal world, and these could be English terms used legally or Latin maxims. Alongside that, you should stay abreast of what news is getting made in the legal fraternity. With this, we come to a close of all information that you need which is related to the IPU CET LLB Syllabus.